WHAT’S LURKING IN YOUR DENTAL WATERLINES? 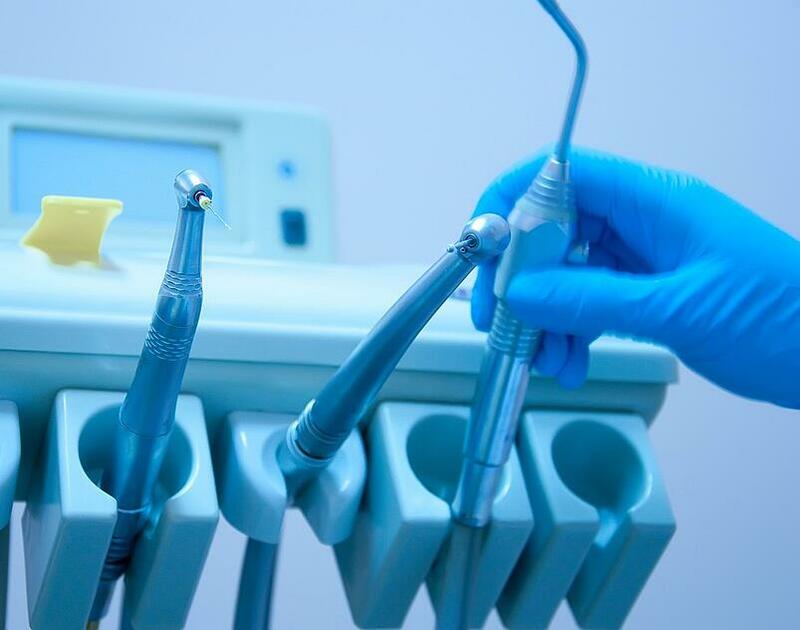 In 2011, the dental industry received international attention when an 82 year old Italian woman died from a case of Legionnaire’s disease she contracted during dental treatment—its source traced to contaminated water from dental unit waterline tubing. Bacterial biofilm is virtually universal in untreated dental unit waterlines and can begin forming in a new dental unit within days. Although there has only been a handful of reported cases of dental waterline contamination since 1963, many microorganisms of concern have been isolated from dental unit water, namely Pseudomonas species, non-tuberculosis mycobacteria, and Legionella, the causative agent of Legionnaires’ disease. Legionella poses a particular threat because it can be transmitted by inhaling aerosols or aspirating water contaminated with the bacteria. Because of their narrow tubing (1/8” to 1/16”), dental waterlines provide particularly well-suited conditions for biofilm–a community of bacteria and other microbes that adhere to surfaces and form a protective slime layer. Low water pressure, low flow rates, and frequent periods of stagnation also encourage any bacteria introduced from municipal water to accumulate within the tubing. According to the American Dental Association (ADA) Council on Scientific Affairs’ 1999 report to the profession on dental unit waterlines, evaluating water quality before a treatment protocol is implemented is controversial. Because the scientific literature suggests that all units are highly contaminated, pre-testing to confirm contamination is of questionable value. However, testing water quality after initiation of a treatment regimen ascertains whether a waterline product or protocol achieves the desired outcome. Monitoring water quality according to an established schedule can help identify problems in performance or compliance and provide documentation of water quality. Both in-office monitoring devices and commercial testing services are available. Dentists should consult with the manufacturer of their dental unit or water delivery system to determine the best method for maintaining acceptable water quality. Below are 3 common waterline treatment options. FLUSHING: Mechanical flushing alone does little to control contamination in waterlines. Although it can temporarily reduce the number of microbes in the water delivered to patients by clearing away many of the free-floating organisms in the waterline, biofilm bacteria continually break free and recontaminate dental unit water during the course of clinical treatment. Flushing for several minutes between patients, however, may be valuable in removing contaminants that can enter the water system during patient treatment. SELF-CONTAINED WATER SYSTEMS: Also referred to as independent water systems or reservoirs, these isolate the dental unit from the municipal water supplies, instead providing water or treatment solution from reservoirs filled and maintained by office staff. They allow the practice to control the quality of water that is used in the unit. CHEMICAL DISINFECTANTS: A number of chemicals are reported to inactivate or prevent biofilm, whether through periodic (intermittent or “shock” treatment) or continuous presence in the waterline. Periodic disinfection involves purging the waterlines, adding a chemical to the water reservoir, filling the lines for the recommended time period, and flushing. Continuous chemical treatment refers to waterline treatment via an irrigant/coolant solution or the use of automated metering devices. Metering devices release low levels of chemical germicide into the treatment water to control biofilm to lower bacterial counts in the water. Some products may require both intermittent and continuous line treatments to maintain water quality. No matter the treatment option you implement in your practice, strict compliance with the recommended treatment regimen is the key to consistent water quality.